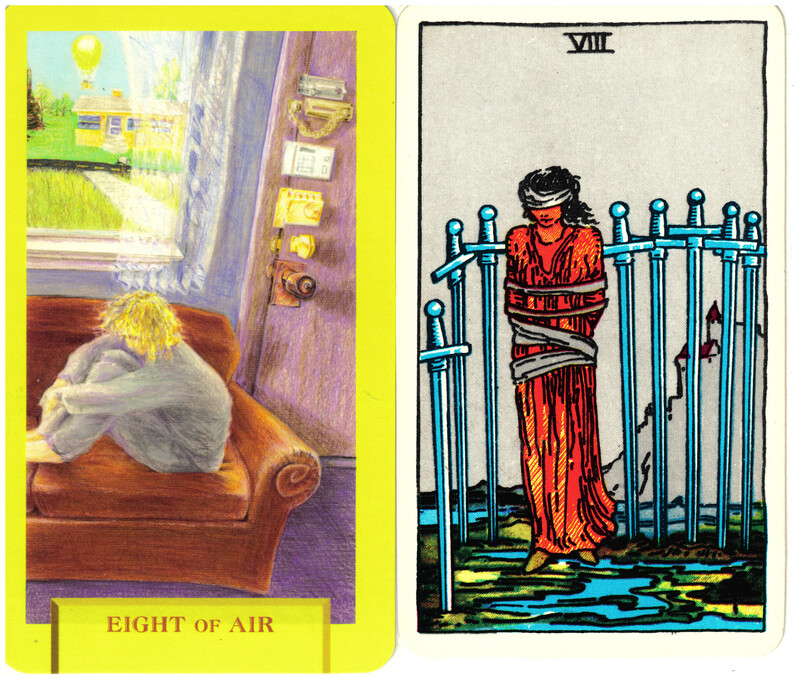 The Eight of Swords from the Rider/Waite/Smith deck shows a woman bound and blindfolded in a marshy swamp with swords all around her like a wall. It is a card of restricted thinking which leaves us feeling trapped and helpless. These restrictions are often self imposed. Today’s Journey Tarot’s updated version of this card shows a woman huddled on a couch clasping her knees. The door beside her has multiple locks. She has exiled herself from the world. Beyond her desolation there is a cheerful, yellow hot air balloon outside her window. She only needs to look up to see it.